Apart from the Indian History and ancient culture Delhi is famous for one more thing – Street Foods. Yes, the national capital Delhi is the paradise for foodies. From North campus to South and East to West you will find spectacular street foods. The street foods of Delhi is not a new buzz – Delhi street foods has been recognized as one of the prime attractions of Delhi. A vacation in Delhi is just incomplete without hitting the street and trying the delicacies of street. Let’s see the famous street foods of Delhi which you must try when you are in Delhi. The Delhi is best known for its delicious street foods perhaps the best street food in Delhi is it’s fluffy bhature and appetizing chole. Along with the delicious chole and bhature the vendors serve a special green chutney that makes the dish even better. This mouthwatering dish is the most popular street foods in Delhi which you can have almost anywhere. But the best places to eat Chole Bhature in Delhi is Giani Di Hatti in Chandani Chowk and Nand ke Chole Bhature in Sadar Bazaar. Without including Gol gappe the famous street foods list is just incomplete. In fact, not only in Delhi but, Gol Gappe or Pani Puri is one of the popular street foods in all over India. With diverse forms Gol Gappe is almost everyone’s favorite. While in Delhi one can never miss to have Golgappa with different water flavors. The best place to eat Gol Gappe in Delhi is Rajouri Garden and Lajpat Nagar. One of the traditional dishes of India which you will find almost in every house but, in Delhi it is one of the best street foods to enjoy at famous stopovers. Prepared with different spices this street foods has created another surge of reforms. You must not miss this delicious savory of Chaina Ram in Chandani Chowl and in Karol Bagh Market. Whether it’s veg roll, egg roll, chicken roll or Kathi roll whatever and wherever you are having rolls in Delhi you will get a lifetime experience, Every vendor prepare their own stuffing recipe which allows the customers get diverse tastes. You can try different varieties of rolls like paneer roll, soya chaap roll, chicken roll, egg roll, etc. The best places to eat rolls is chowrangee lane, kamla nagar market, Rajouri Garden. Aloo chaat is one of the popular appetizing street foods in Delhi. This is prepared with fried potatoes (Aloo) which is tossed with green chutney and other spices and chickpeas. Diced fruits are then added to make it even more delicious. Ram Ladoo is basically the Moong daal pakoras that are deep fried. This crispy ram ladoos in Delhi streets are evergreen. This is served with grated radish and green chutney and then sprinkle some chaat masala to make it even more luscious. In every corner you can find vendors selling this crispy ladoos but the best place to eat ram ladoo is Tilak Nagar, Janak Puri and Green Park. Paratha is one of the most common breakfast in India. Almost in every state and region of the country you will get stuffed and plain parathas to eat. And in Delhi this is also one of the popular street foods. In fact, in Chandani Chowk Paranthe Wali Gali is the most popular place to eat stuffed parathas. Apart from this you can also enjoy this delicacy at Moolchand Ke Parathe and Kakke di Hatti. One of the most delicious street foods at a very reasonable price is Street Burgers. You can have this anywhere in Delhi. You might have visited Mc Donalds or Burger king to eat burgers but the burgers you will get in Delhi’s street will surely be unmatchable. Hence, you must try burgers that will be hardly cost you INR Rs 30 for two. You can have it at any burger carts in all over Delhi. Another very famous street foods of Delhi is Aloo Tikki. This is Chaat recipe which is prepared with boiled mashed potatoes. The fried tikkis are served with tamarind chutney, green spicy chutney and then, topped with chickpeas and sev. One of the best things you can try at Delhi streets and can ask the vendor to use different chutneys to satisfying your inner foodie. 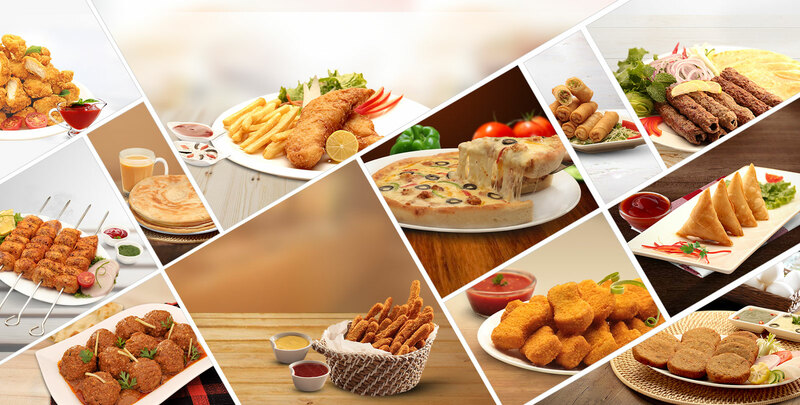 With so many rich and varied cuisines Delhi is really a foodie paradise and these are only some of the best and famous street foods you can try in Delhi but, the list is endless. You will find so many varieties to eat in all over Delhi. If you think that street foods are hygienic or healthy for you then, you can go to some good restaurants that prepare and serve street food items in hygienic manners. And if you think that you can also start your own street food business then, you can get food franchise in India so that you can start your own street food outlets in your own city. And if you are just a traveler then, do not forget to try out these delicious delicacies in Delhi.